In a fast-moving world, some things never change. Our values, for example. 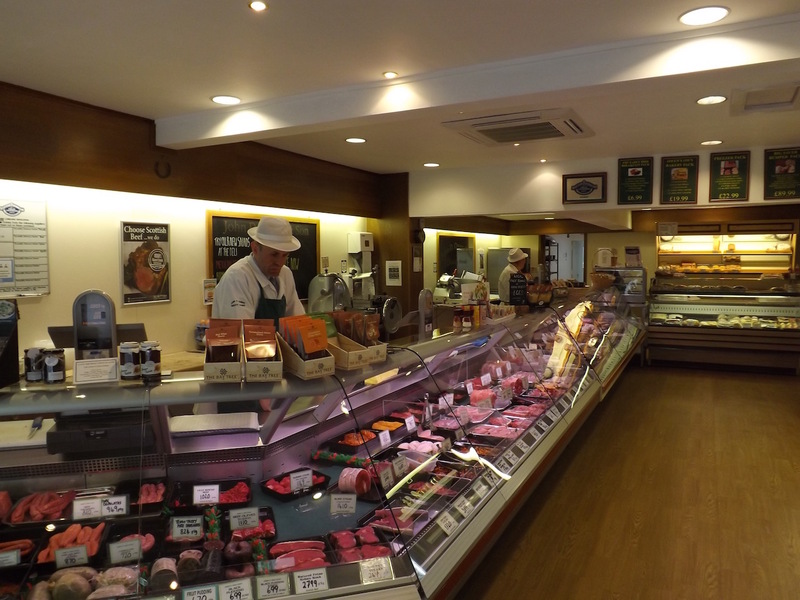 At John D Owen & Son, we are just as committed today to supplying our customers with the very finest food as we were when the business was started by my grandfather, John Owen, in 1925. Our customers, including visitors who have called in to our shop whilst on holiday in the area, know what we mean. 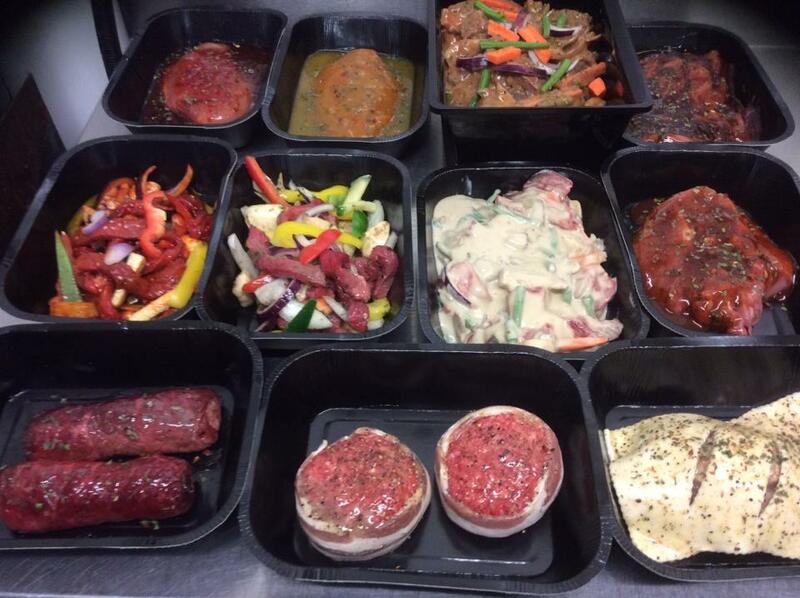 We take great pride in the provenance of all our food. 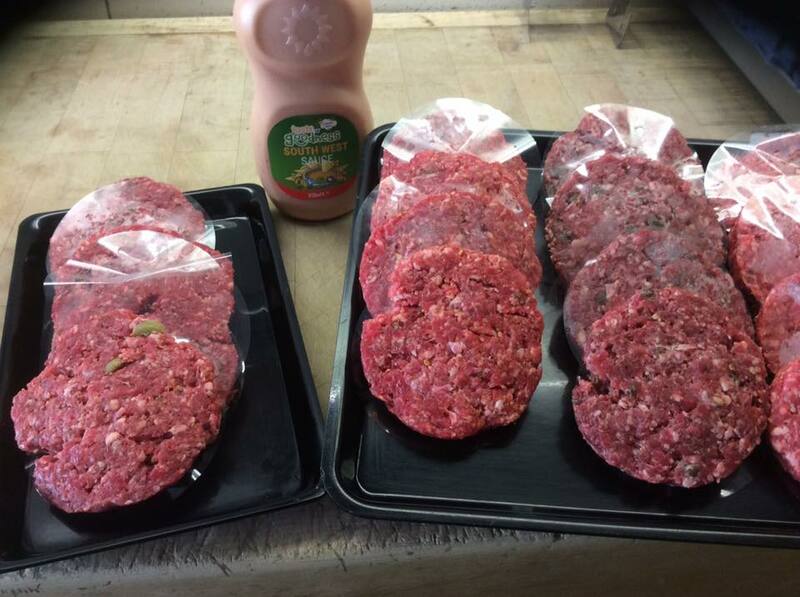 Our fresh meat is all sourced from local farms, as are the ingredients in our home-made award-winning burgers, pies and sausages. 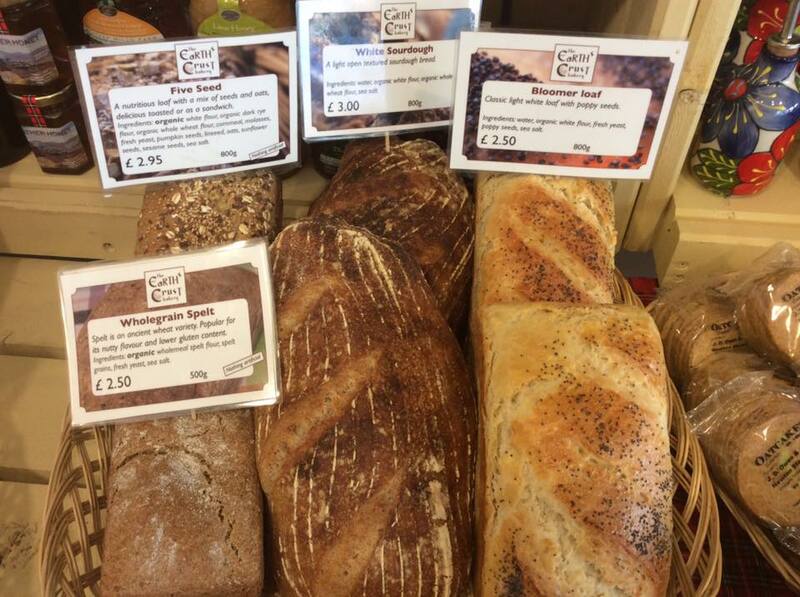 We also sell a wide range of delicious cheeses, deli products and artisan breads. Call in and see us today. We look forward to serving you. 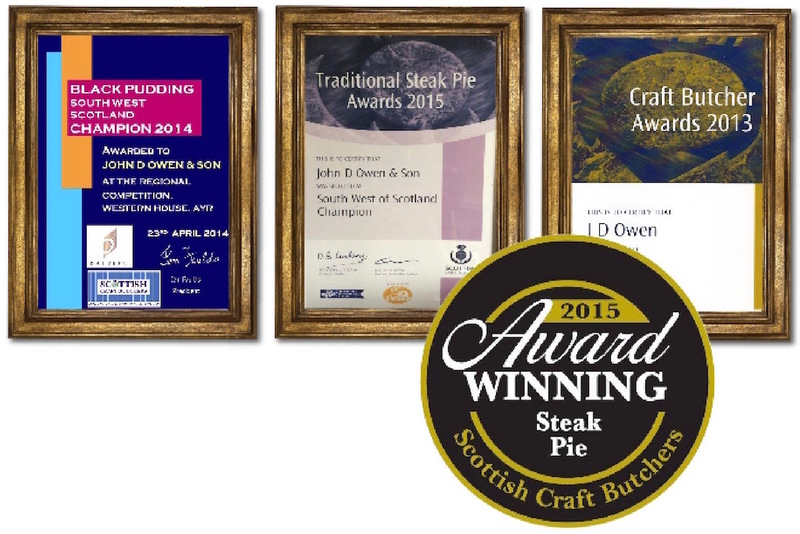 When you buy from John D Owen & Son, you can be sure of the highest quality ingredients and the very best taste. We have awards to prove it! 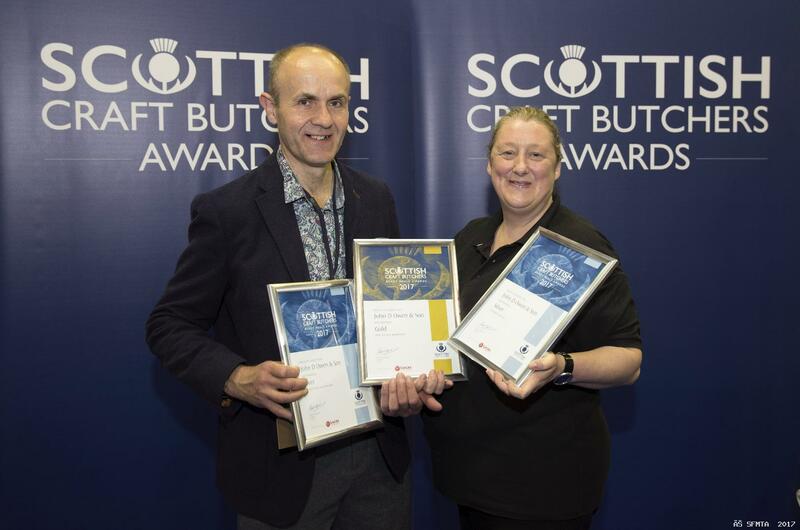 Gold and Silver Award winners at the 2017 Scottish Craft Butchers Awards - read more! Arriving soon SALT MARSH LAMB, Reared and grazed by the Oxley family on the marshes of the Cree Estuary on their farm at Creetown. The season for this local supply is limited to a month or two so don't be disappointed - order some NOW. Whole or Half Lambs can be cut to your requirements. Phone Kenny now and place your order. 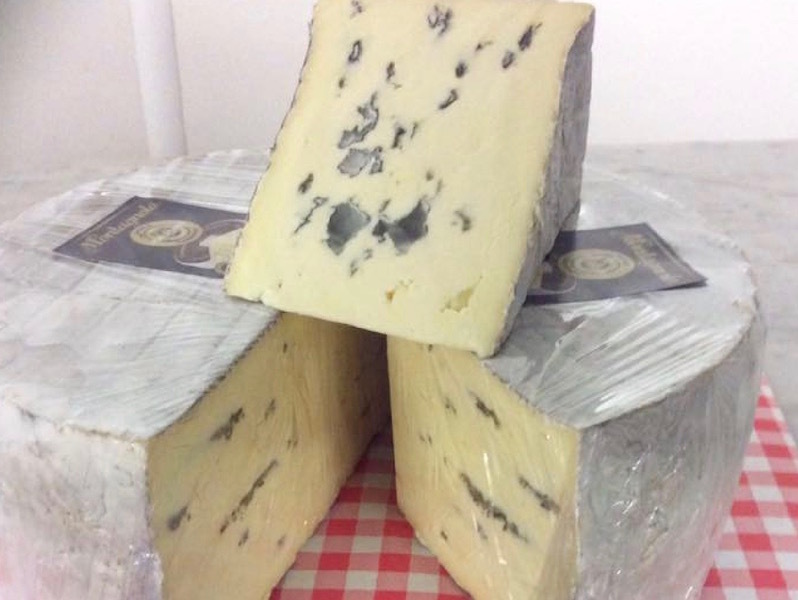 Montagnolo rich full fat, blue-veined cheese from Germany now in stock. Alfez Harissa chilli paste to mix in, spread or coat and cook and Alfez Sumac, delicious topping for salads and kebabs. Chilli Mix, Garlic Pepper, Himalayan Pink Salt or Sea Salt Grinders now in stock. Barbecuing this summer? Well, if you thought all bangers were the same, think again. 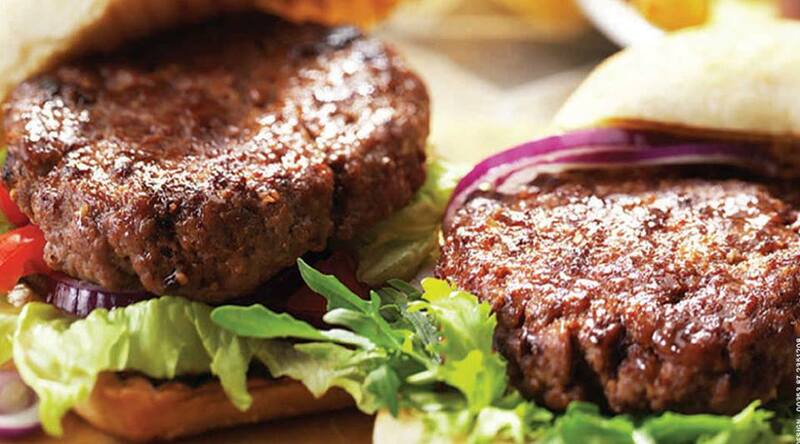 Why not try our Hot Spanish Pork, Spring Onion and Ginger Pork Sausages Or one of our new range of Favourerd Beef Burgers! They’re all delicious. Complete Stir Frys, super tasty, super easy, just cook in wok for 10 to 15 minutes, and serve with noodles,or rice for a quick and health meal. - Recipes. Following the devastation caused by Storm Frank in December 2015 which caused severe flooding to Victoria Street, Newton Stewart, we were delighted to finally re-open on March 10th, 2016, following a huge clean-up and refurbishment of our premises. - Read More. Call in to 47 Victoria Street, Newton Stewart, today. Open Monday to Friday from 8.30am to 5pm (except Wednesday, closed at 1pm) and on Saturdays from 8.30am to 4pm. Tel: 01671 402666.